West Brom name Salomon Rondon asking price – & the terms of a potential part exchange – Report – NUFC blog – Newcastle United blog – NUFC Fixtures, News and Forum. According to the Northern Echo, West Brom will demand £16m for Salomon Rondon this summer – claiming the Baggies are ‘confident’ of creating a ‘bidding war’ for the striker. The piece also claims that West Brom could accept £6m PLUS Dwight Gayle for the Venezuelan, but this is worrying news as far as I’m concerned – especially when you consider we (Ashley) clearly refused to pay Rondon’s £16m release clause almost a year ago now. As good as Rondon’s been and as much as he wants to stay and Benitez wants to keep him, can you really see Mike Ashley paying £16m for a player who’ll be 30 when the 2019/20 season begins? I’m not sure I can, yet it could be absolutely crucial as far as Benitez’s future is concerned – with Ashley’s refusal to do this deal being something that would only prove to Rafa that he’s not going to change. NEWCASTLE UNITED will have to put together a package worth £16m if they want to sign Salomon Rondon on a permanent basis this summer. West Bromwich Albion will look to sell Rondon permanently once his current loan deal at St James’ Park comes to an end, but with a number of clubs having expressed an interest in the 29-year-old in the last 12 months, the Baggies are determined to strike a hard bargain. West Brom officials rejected Newcastle’s attempts to set a summer price for Rondon when they held discussions over Jacob Murphy’s loan move to the Hawthorns in January because they hope to spark a bidding war for the Venezuela international at the end of the current campaign. Having triggered an automatic 12-month extension to Rondon’s contract, the West Brom hierarchy will refuse to lower their asking price from the £16m that would have enabled an interested party to buy the striker last summer. They are willing to include Dwight Gayle as part of a potential deal with Newcastle, but do not value the forward, who is currently on a season-long loan at the Hawthorns, as highly as Rondon. If Gayle can be persuaded to make a permanent switch to the Midlands, the Magpies will have to pay around £6m to make up the shortfall between the two players’ price tags. Rondon has stated publicly that he would like to join Newcastle on a full-time basis, but given that he will turn 30 in September, his age could prove a major stumbling block. Mike Ashley did not want to offer Rondon a long-term contract last summer because he was worried about the lack of any sell-on value at the end of a prospective deal, and his stance is unlikely to have shifted significantly in the last six months. Ashley has long been resistant to signing players in their 30s, especially when they command an eight-figure price tag and wage demands that would instantly make them one of the highest-paid players at the club. 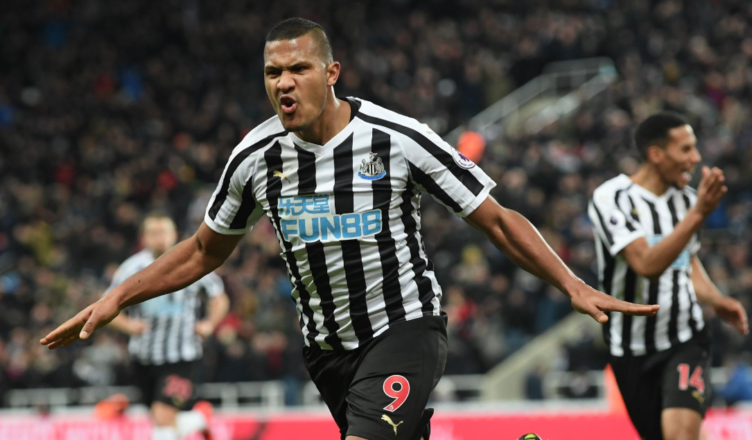 Signing Rondon would be less of a risk in terms of his immediate impact on the first team as he has proved to be a valuable asset this season, but his age means Ashley would almost certainly only offer a one or two-year contract at best. If alternative offers arrive from elsewhere, Rondon may conclude he cannot justify remaining in the North-East. Considering it took us months to finally pay an initial £16m fee for Almiron – a young player with huge potential – it’s really hard to see Ashley paying a similar amount for a player who’s about to turn 30. Hopefully we can use the likes of Gayle and Jacob Murphy as bargaining tools to get Rondon, with West Brom’s alleged interest in Isaac Hayden also having the potential to play a part. Just do a straight swap. Gayle is better than Rondon. Don’t push it! It’s all about how they fit into systems, but based on what I’ve seen of both over the past 2 years, Rondon’s all round game is MUCH better than Gayle’s – and he’s already scored more than GD did for us last season on top of all the hard work, hold up play etc. For once I would side with Ashley over the fee. The baggies are trying it on.i Gayle has performed well for them and should be at least halfway to being a makeweight. If they consider rondon the be a £16 m player at 30 Gayle must be a 10m player at his age. Dont understand why only a 1 or 2 year deal would be offered. He’s 30 in September so a 4 year deal would definitely be worth it as I dont even see a risk to Rondon making an impact. He already has. Got to remember that Gayle is also 30 next year so probably not the best argument. Given his age there is no way the FCB will spend a penny for Rondon, he will have no resale value. As far as Ashley is concerned Rondon is a commodity.